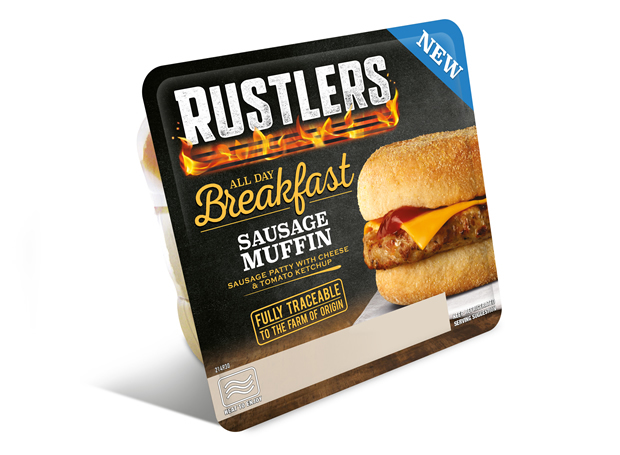 Kepak Convenience Foods is introducing Rustlers, the UK’s top-selling microwavable snack and chilled ready meal brand*1, to a new eating occasion with the launch of the Rustlers All Day Breakfast Sausage Muffin. The new breakfast product features a sausage patty in a muffin bun, topped with cheese and tomato ketchup, with an rrp of £1.50. “Last year we conducted our largest ever shopper study and learned that despite not having a breakfast product in our range, breakfast was already an important consumption occasion for the brand,” says Adrian Lawlor, Kepak Convenience Foods’ Marketing and Business Development Director. “The shopper study highlighted that Rustlers competes with high street foodservice operators for a number of consumption occasions, in particular lunch, helping our retail partners to win footfall from the QSR’s. Breakfast gives us, and our retail partners, the opportunity to build on this, as it’s an occasion that is performing exceptionally well on the high street. 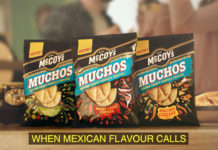 The new product will roll out across the grocery and convenience channels from early April. 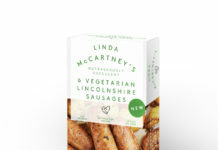 “We’re recommending that retailers launch the product in their food to go fixture in order to capitalise on the opportunity to target the high street, although we believe a significant secondary option exists for planned breakfast on the main fixture alongside the rest of the Rustlers range,” adds Lawlor.